Leader of the PPM Parliamentary Group, Ahmed Nihan Hussain Manik has said that the former President Mohamed Nasheed's dream to make the ex-President, Maumoon Abdul Gayoom, a terrorist, has come true. Speaking at a PPM press conference today, MP Nihan said that ex-President Nasheed is someone who has made multiple attempts in the past to smear the name of Preside Maumoon. MP NIhan said that It has always been a dream of President Nasheed to smear the name of Maumoon and every attempt at a coup in recent history of the country has people involved with President Nasheed. Nihan said that is it a great sadness that the former President Maumoon and his team got caught in the evil trap by ex-President Nasheed during the attempted coup on 1 February. 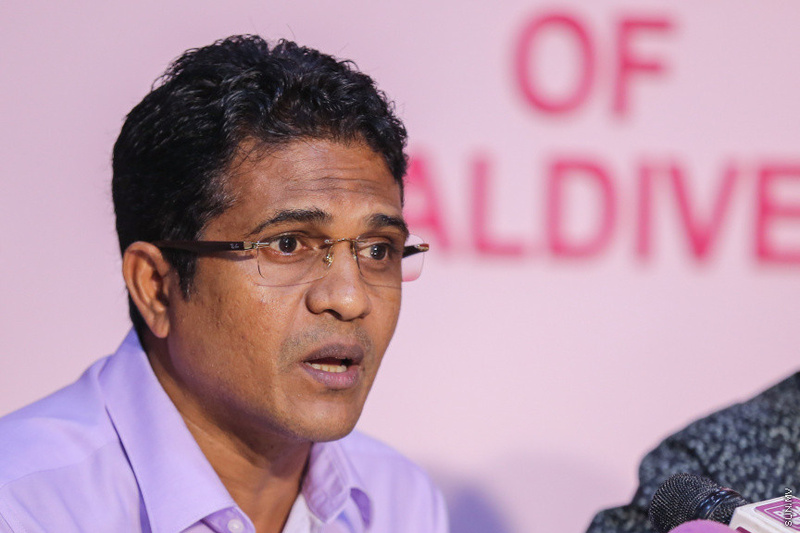 At the press conference today, the Vice President of PPM, Abdul Raheem Abdulla, (Adhurey) said that the statement from the Prosecutor General's Office on Tuesday makes it very clear that the party's statements regarding the opposition attempt to overthrow the government were true. Arrested under the suspicion of an attempt to over throw the government of President Abdulla Yameen Abdul Gayoom, former President, Maumoon Abdul Gayoom has now been charged with terrorism and obstruction of justice. The State of Emergency declared on 5 February 2018 following the Supreme Court ruling on 1 February, has been lifted today after the 45-day extension.